WASHINGTON – The Pentagon is finding proposed troop increases for Afghanistan to be a much harder sell than expected for President Donald Trump. Instead of an additional 4,000 forces to add to America’s longest war, the Pentagon is having to prove to the White House why U.S. forces should remain there at all, U.S. and defense officials told Military Times. “They [the Afghans] are really scared to death that we are going to pull the plug on this [continued U.S. military presence],” a U.S. official told Military Times on the condition of anonymity. For weeks, Pentagon officials talked about adding 3,900 to 4,000 additional U.S. forces to Afghanistan to prevent further gains by Taliban and Islamic State forces. 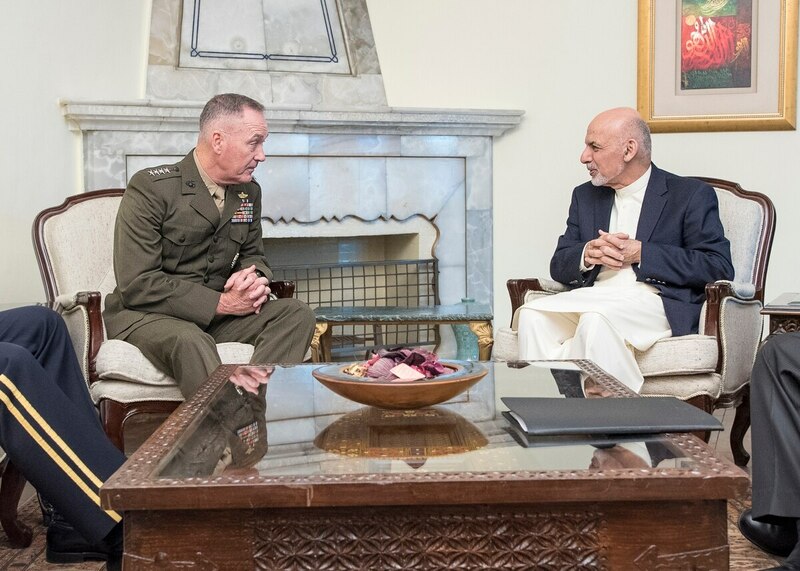 The additional forces would join the approximately 8,500 U.S. troops currently conducting counterterrorism missions and training Afghan security forces. But The Wall Street Journal reported on Sunday that the White House is now instead considering the option of withdrawing U.S. forces completely and potentially supplanting that presence with private contractors. Officials confirmed the Journal’s story and said the consideration of a withdrawal is part of the reason why the administration’s plan for Afghanistan, known as the South Asia plan, has been delayed. “It’s a pretty shocking change of course,” said the first U.S. official who was familiar with the discussions. The delay has become a source of frustration, a second senior defense official said. The first official said it would be risky for U.S. forces to withdraw, particularly given ISIS’ growing presence in the country. While there‘s only about 1,000 to 2,000 ISIS fighters estimated to be in Afghanistan, the group has a much stronger foothold in neighboring Pakistan, the official said. The first U.S. official said the White House started seriously considering withdrawal about a month ago. “We got a sense in the last couple of weeks the president himself was very skeptical” of a troop increase, the official said. The officials said the potential reversal of policy was well within Trump’s purview to use his election – delivered by a base that largely does not support further expansion in Afghanistan – to consider other options. “No one is challenging the president’s right” to raise all options, the official said. A White House official said a range of alternative strategies are under consideration. “The president recognizes that past approaches have not worked and he has tasked his team with developing a new way forward that is realistic, sustainable, cost effective and that protects U.S. vital national security interests,” the White House official said.